Sangeet4All serves schools and families throughout India by providing music curriculum grounded in Indian classical music with a global outlook. Sangeet4All is developed for Nursery up to 5th grade. The day a child starts school, he/she should experience the joy of music in their lives. World-renowned Indian classical artists Pt. Shubhendra Rao and Vidushi Saskia Rao-de Haas developed the Sangeet4All curriculum. Pt. Shubhendra Rao is one of India’s leading musicians today. A leading disciple of Pt. Ravi Shankar, he is one of the last few to have learnt his art in the true Guru Shishya Parampara. Dutch cellist Vidushi Saskia Rao-de Haas started learning the Cello at a young age in Western classical music tradition and later, studied Indian classical music with Pt. Hariprasad Chaurasia. Today she is established as a master of Indian music on the cello. 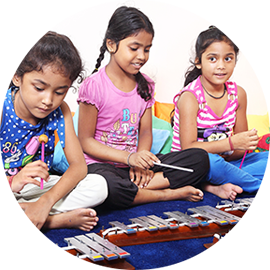 Their unique combined knowledge in music training and music education is how Sangeet4All was born, the ideal way to teach the age-old Indian music concepts through internationally tested music pedagogy to children. 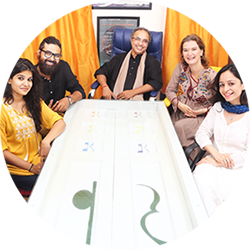 The couple see an important role for Indian music education in today’s world to bridge tradition with modern methods. Indian music concepts of rhythm and melody are among the highest developed music systems in the world and should be shared with all children and not kept to only a few. 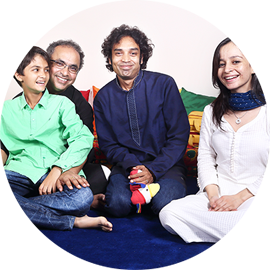 Their mission through Sangeet4All (S4A) is to promote Indian classical music in a manner that meets the developmental needs of children and promotes the joy that comes with having music in their life. 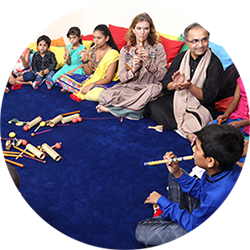 The S4A curriculum includes original songs, stories and activities for introducing beginner to advanced musical concepts of Indian music in a way that is appropriate for early childhood education. The curriculum is in line with the guidelines of CBSE for primary performing arts education. Educators and parents love Sangeet4All classes because they engage the children joyfully and encourage self-expression while providing a meaningful musical foundation and knowledge about their cultural heritage. In Sangeet4All, no child is left behind and all children become creators.